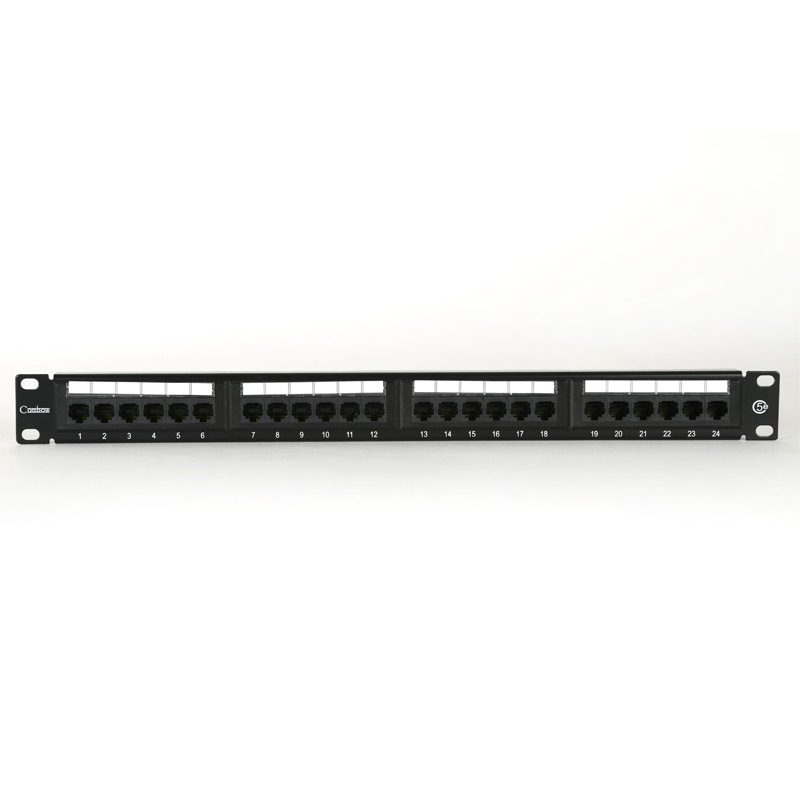 High performance 1U 19″ 24 Port Patch Panel Cat5e includes Label Set and meets TIA/EIA-568-B and ISO/IEC 11801 (Class D) specifications. 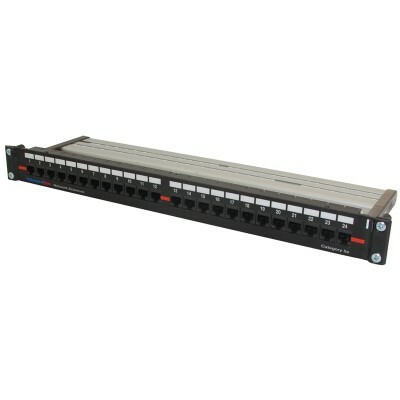 This Cat5e patch panel provides for patching of ISDN, voice and high-speed data signals within Category 5e unshielded structured cabling systems. 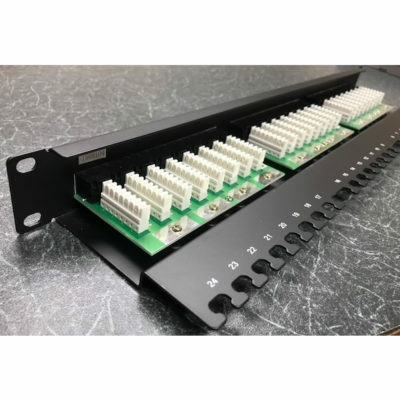 Designed with performance and ease of use in mind this panel is supplied with fixing kit, four cable ties and label set numbered 1-96. Durable matt black powder coating finish. Easy to terminate, high-density IDC blocks compatible with industry standard tooling. 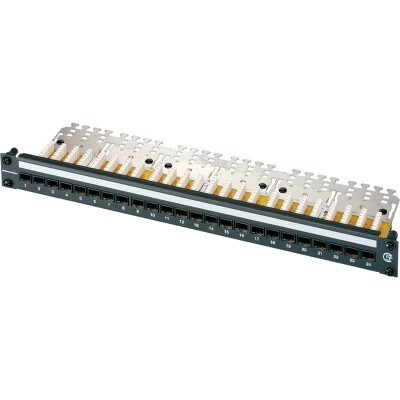 Eight end-of-block rear cable tie points for ease of termination and cable management. Colour coded for clear and easy termination to T568A and T568B wiring standards. 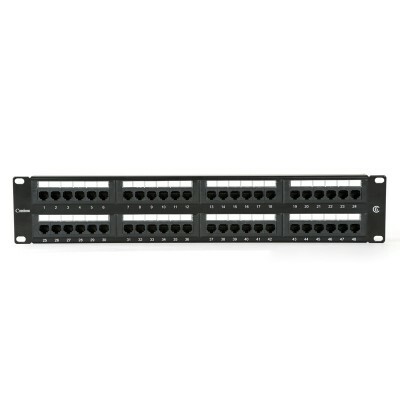 RJ45 Ports presented in banks of six, numbered 1-24. Multi-option label area above ports with plastic protective cover. Supplied with fixing kit, four cable ties and label set numbered 1-96. Use with Combow Rear Cable Manager (optional), part code CWC5016.